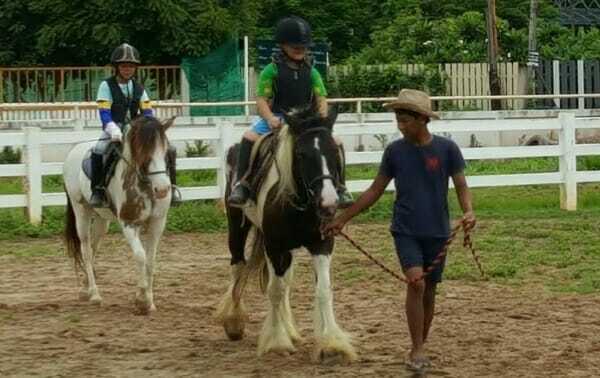 Never been near a pony or horse before but always wanted to experience the sensation of horse riding? 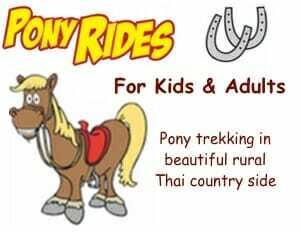 We have now introduced ‘ lead rein ‘ pony and horse trail rides for both children and adults. 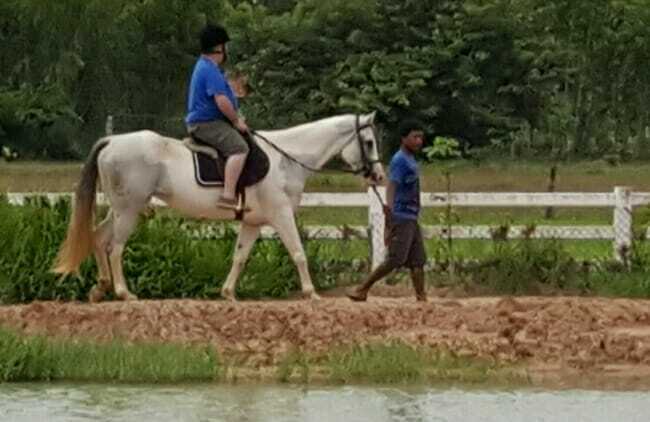 Instead of riding the horse yourself you will be safely led on the lead rein by our experienced handlers.. 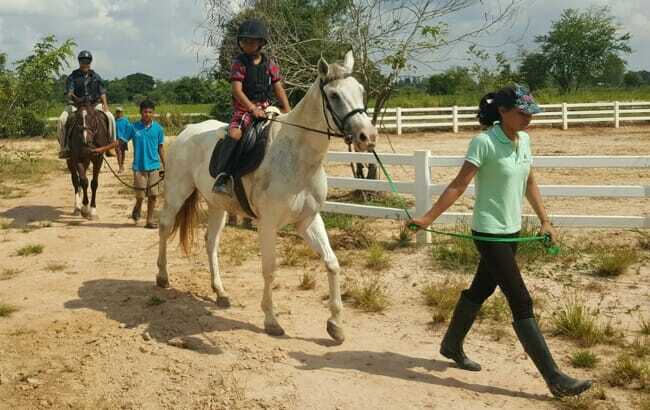 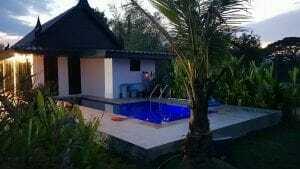 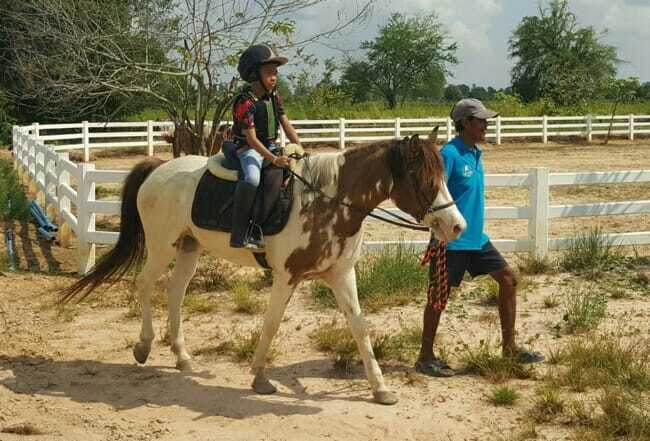 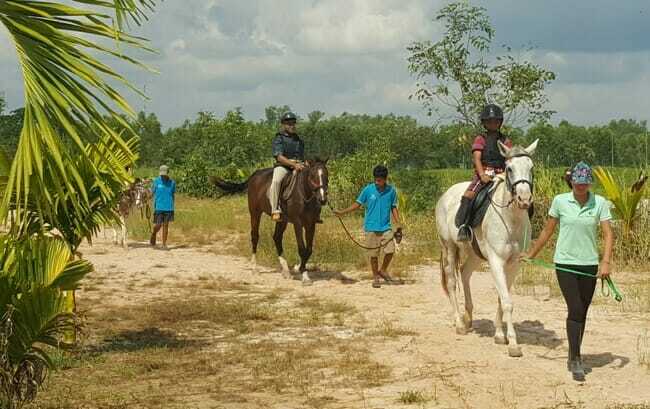 The trail ride lasts approx 45 minutes to 1 hour which consists of at first being lead around our scenic lake to gain your balance and then venturing out into the beautiful rural Thai country side, enjoy strolling through local Thai villages and a temple. 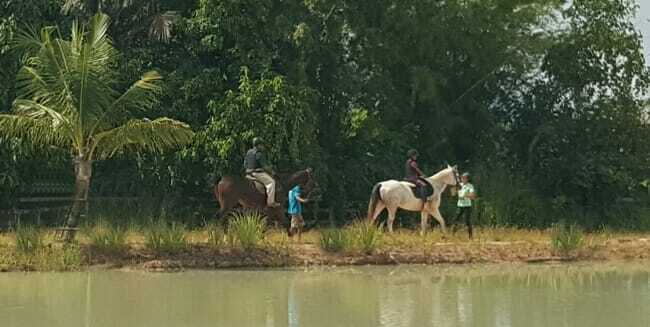 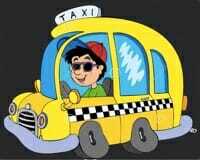 We make plenty of stops to make sure of that perfect photograph.. 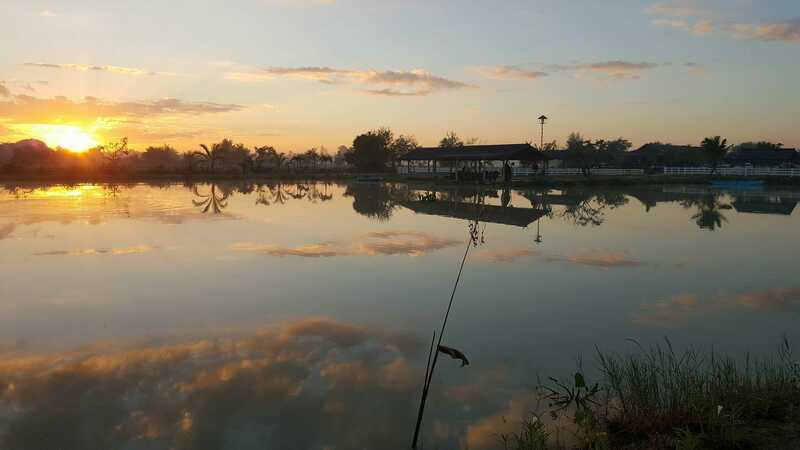 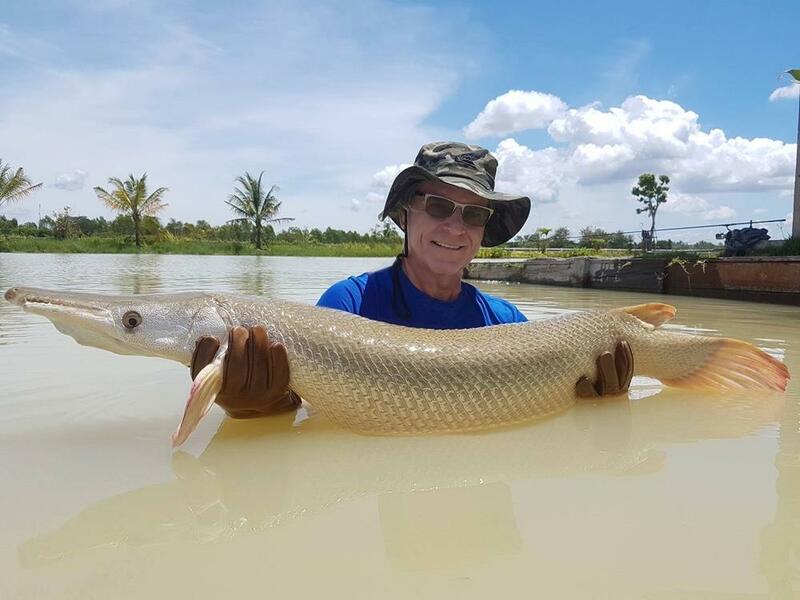 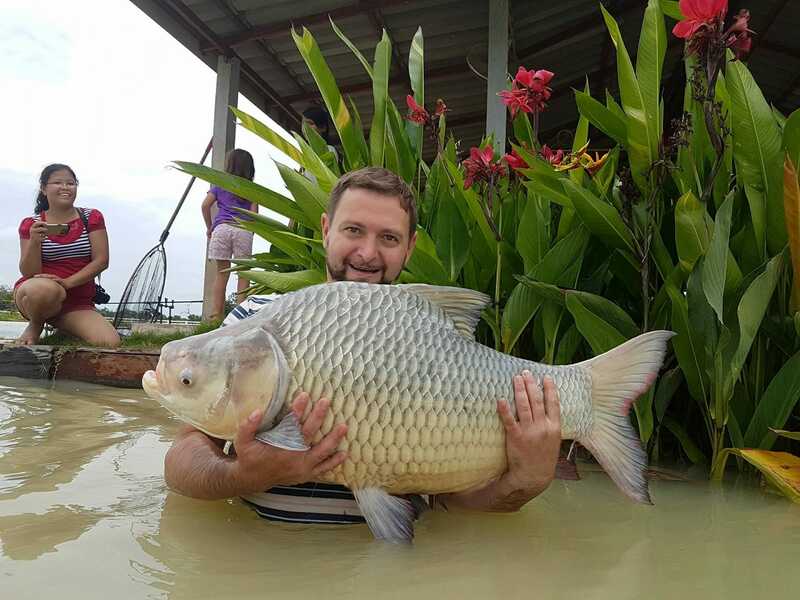 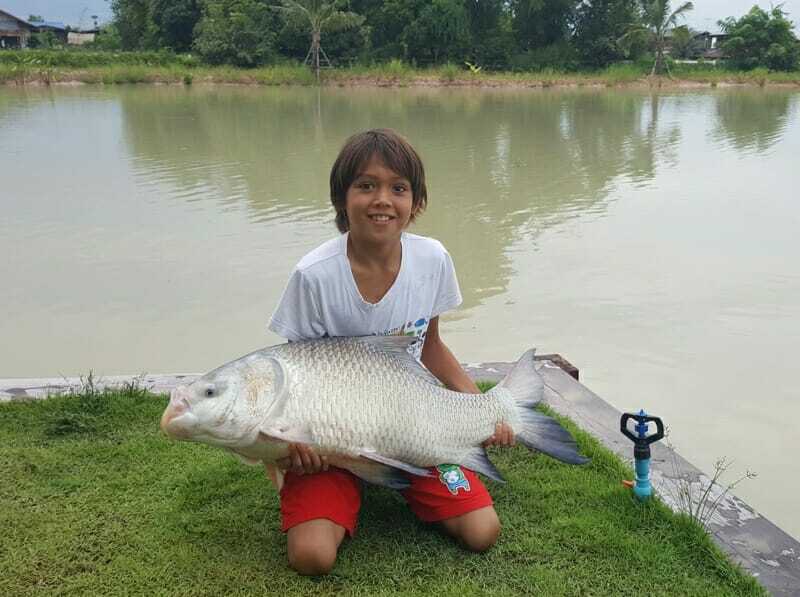 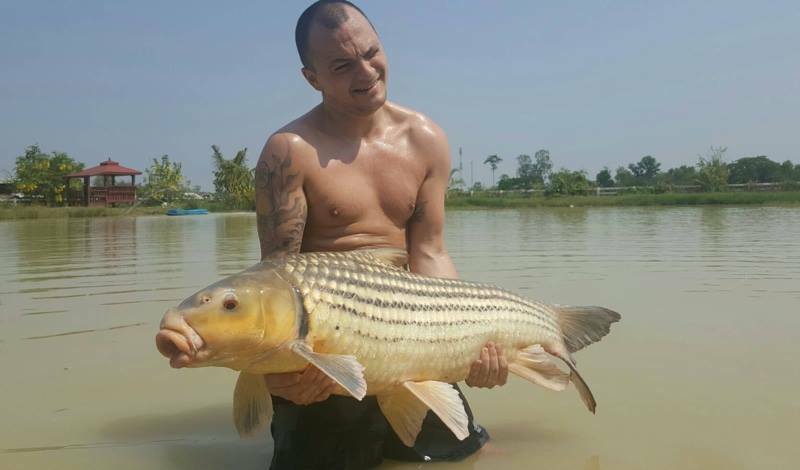 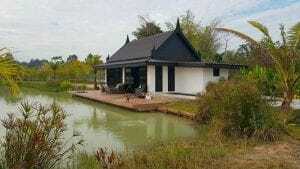 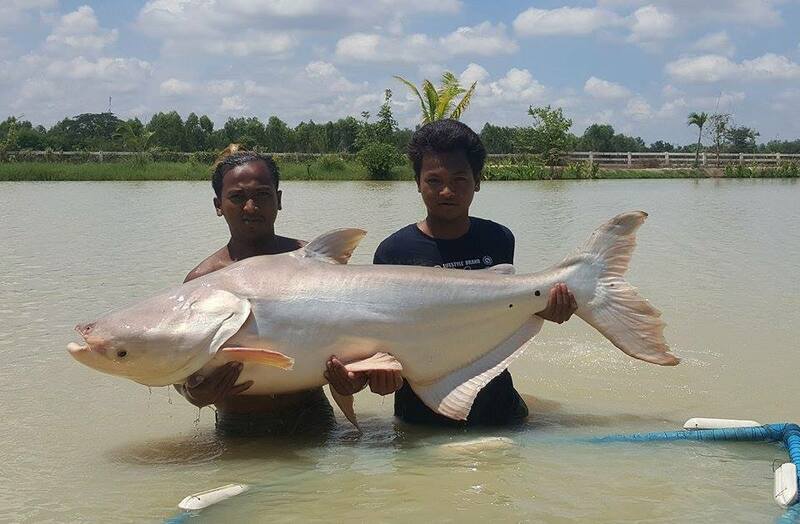 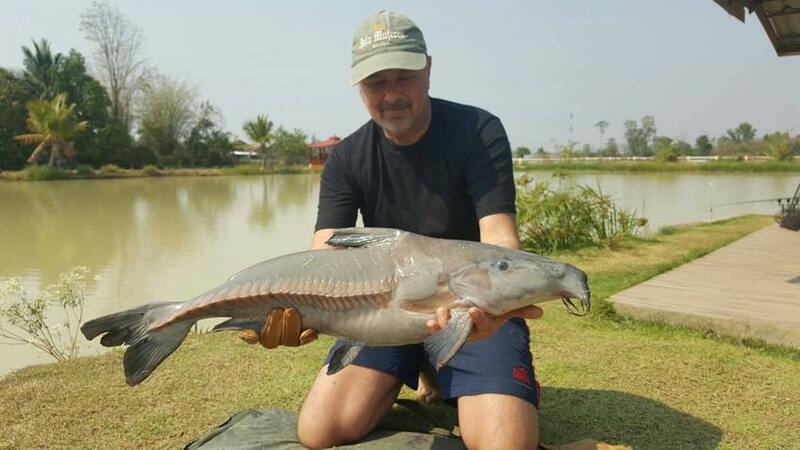 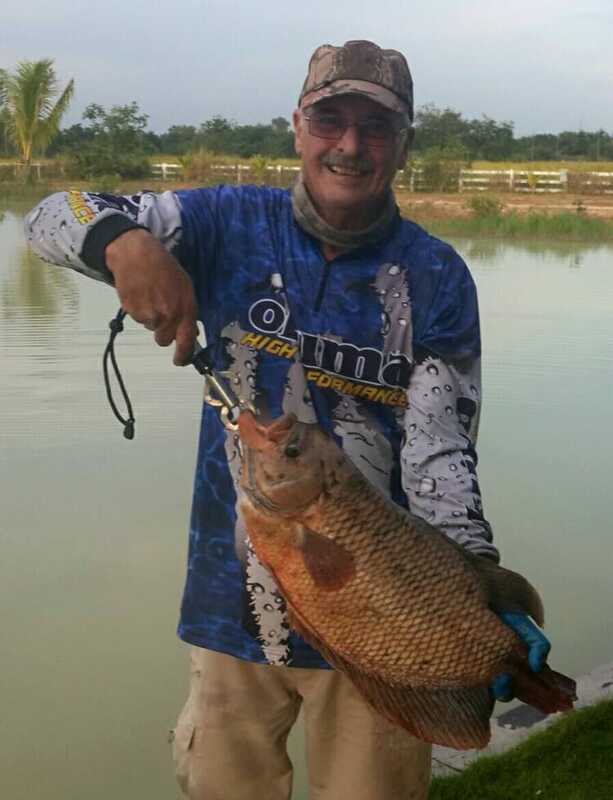 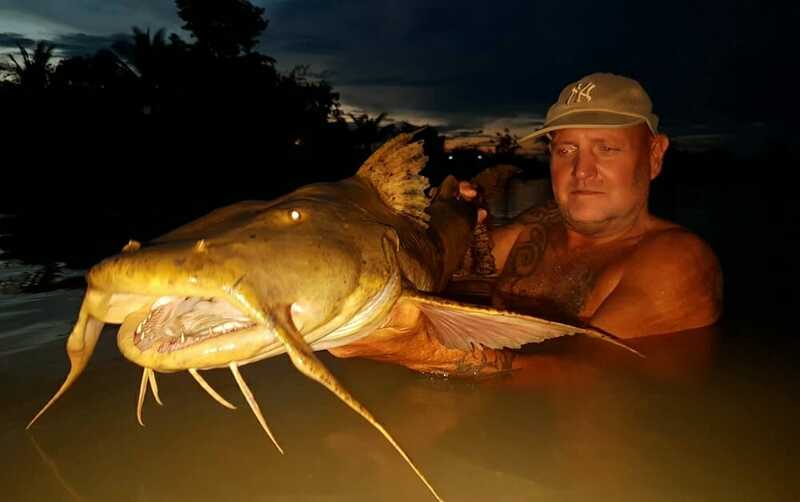 In a private and secluded North East Thailand setting the mixed specimen coarse lake boasts well over 45 different fish species ranging from huge Mekong Catfish to Giant Siamese Carp, with vicious predators such as the Arapaima, Alligator Gar, Chao Phraya Catfish, Amazon Redtail and many more…. 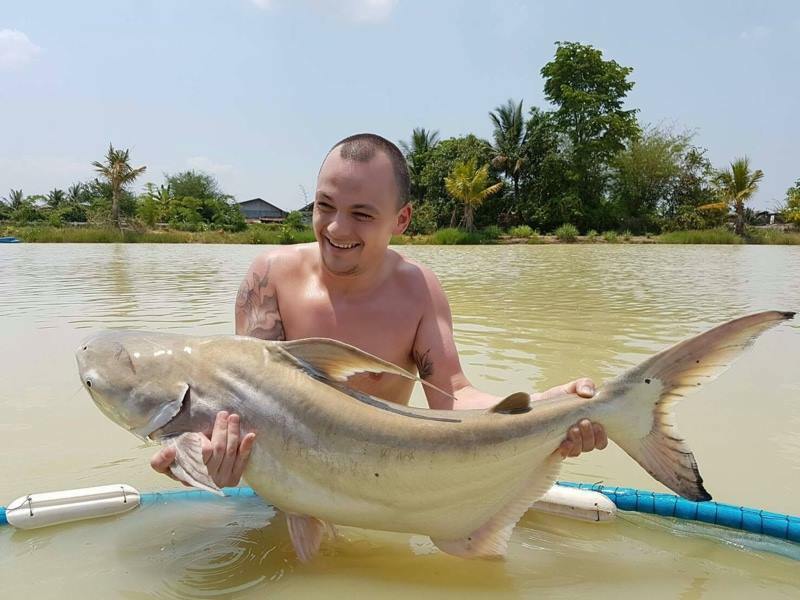 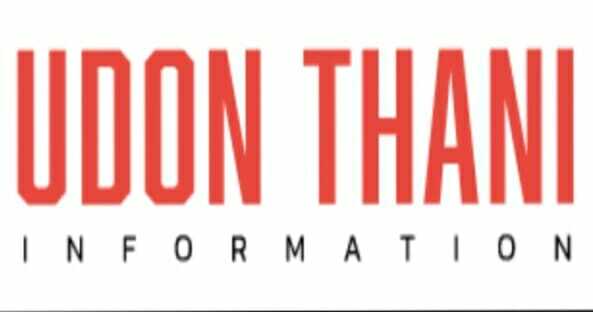 with us only accepting limited bookings in return keeps the lake unpressured and produces exciting catch rates..
We are looking at keeping the lake uncommercialised, to avoid disappointment we would prefer that bookings are to be made in advance…. 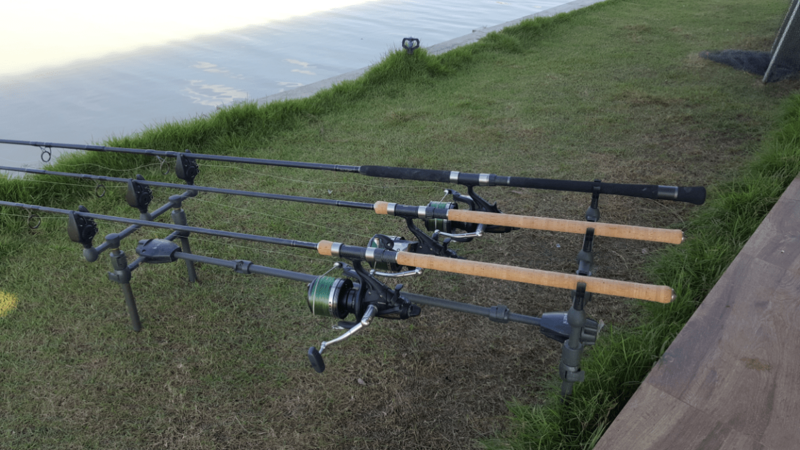 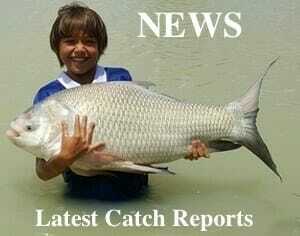 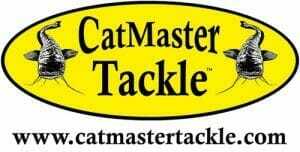 Some of the big fish require strong tackle so we use high end imported fishing tackle which can be provided free of charge, inc Free Spirit rods, Shimano big bait runners, rod pods equipped with Fox bite alarm indicators , full tackle box .. also enough bait for the day.. you maybe also bring your own tackle but it will be inspected for suitability for catching our larger residents..
We also have pony rides for the kids (and adults) ..